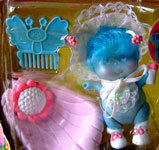 Images on this page thanks to and Hanni, LittleToyLost and eBay sellers jamesboyrecords , zebbytoys and We-Love-Fairy-Cakes ! 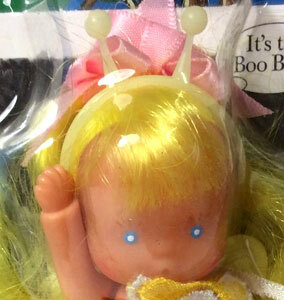 You may find some little Boo Boos with a host of little lights. 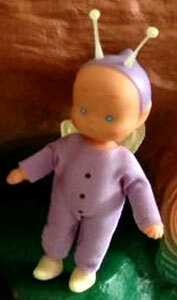 For they are looking after babies that need tender loving care." 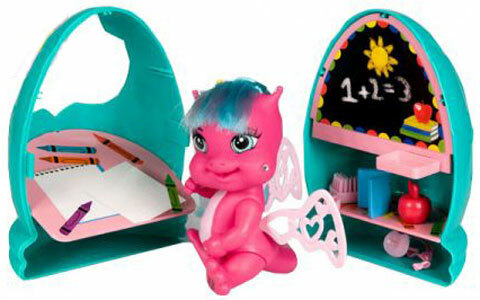 There were nine different 4 inch pixies released in the original series, along with Baby Twinkle (who they cared for), Mops the puppy and the Crib House playset. 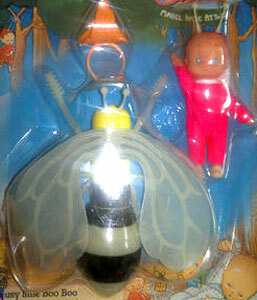 Each pixie had glow-in-the-dark antenna, wings and shoes, wore all in one suits (removable), and came with an accessories based on the theme of their name. 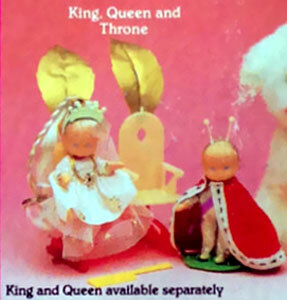 There were three identical versions of Watchful who came with three different insects he could ride. 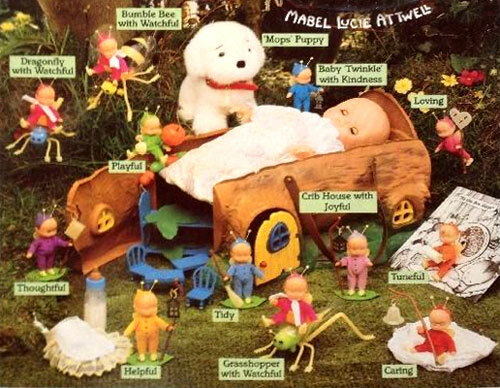 Kindness came with Baby Twinkle, and Joyful came with the Crib House. 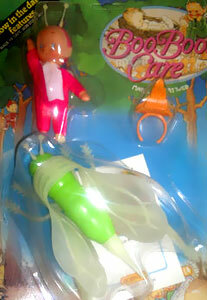 The five other characters (sold individually) each came with a few small items and leaf shaped stand. 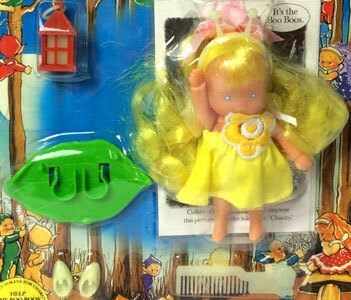 Caring, Helpful and Playful all came with items for Baby Twinkle. 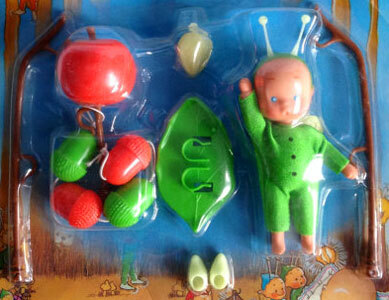 Helpful came with a bottle and bib, Caring with nappy and pants, and playful with beads and rattle. 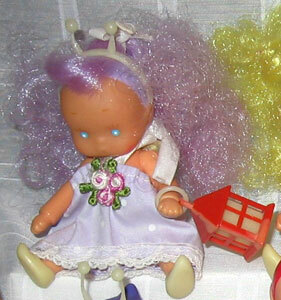 They also came with shoes and a staff with a removable lantern, bell or heart. 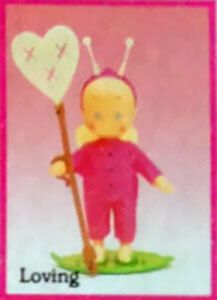 The first series pixies are usually refered to as "boy" pixies, and the second series as "girl" pixies. 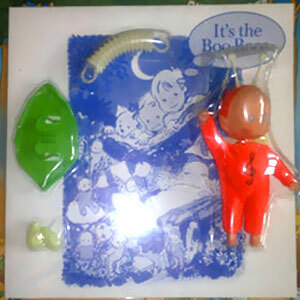 Thoughtful and Tidy came with the least accessories, being shoes, staff with a removable hanging book or a broom, and a leaf stand each. 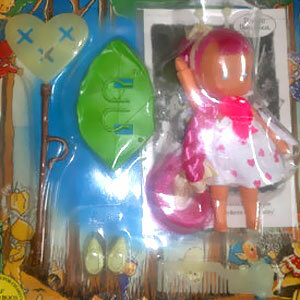 Tuneful came with a 7 inch vinyl record, leaf stand, shoes and concertina. 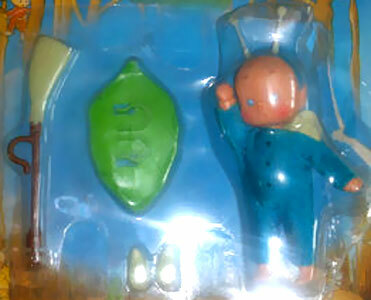 He wasn't featured on the series two back packaging. 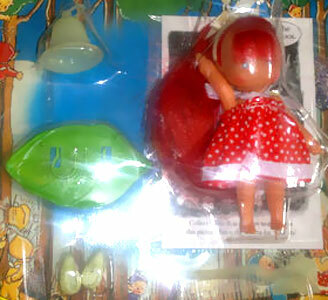 Joyful came with the Crib House playset and Kindness came with Baby Twinkles. 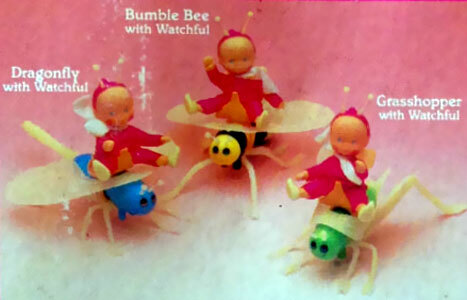 There were three identical versions of Watchful who came with three different insects he could ride. 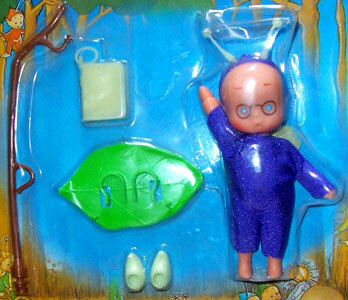 None of these sets came with a leaf stand or anything for him to holdl. 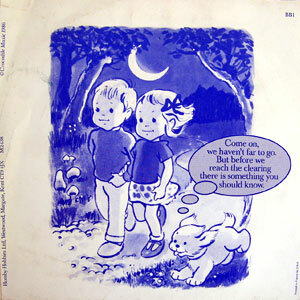 All boy pixies bar Tuneful were featured on the series two back packaging. 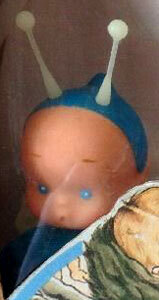 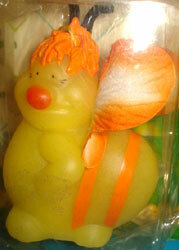 Instead, a new boy pixie appears to have been added, but I have as yet to find him. 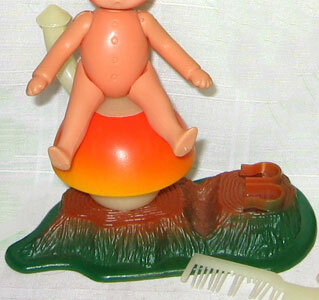 He is pictured with the same staff as Kisses. 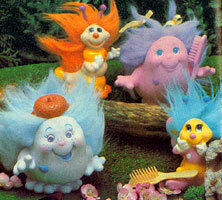 In 1986, six pixies with long colourful hair were added to the line. 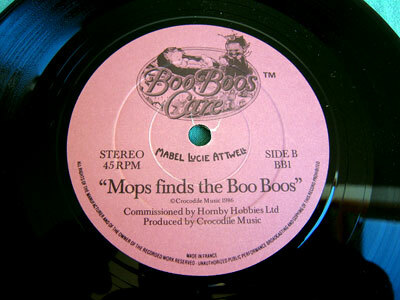 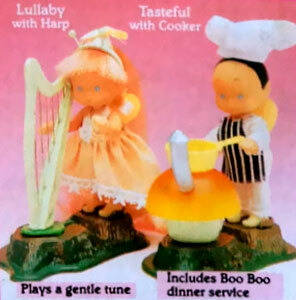 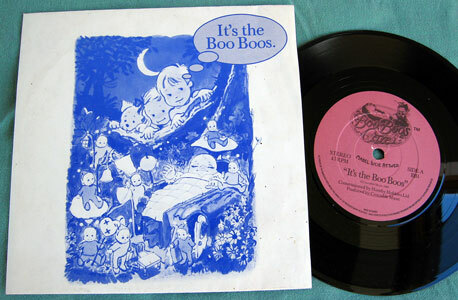 They were later sold separately from the Boo Boos Care line and re-named 'Sweethearts', but have as yet to find any packaging. 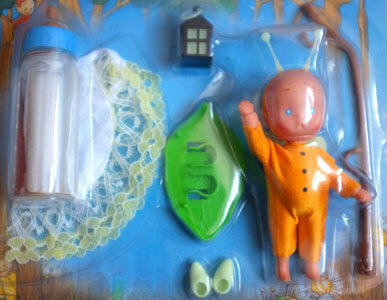 Each of these pixies came with a removable dress and underpants, shoes, comb, leaf stand and an item they could hold (mostly re-used from the boy pixies accessories). 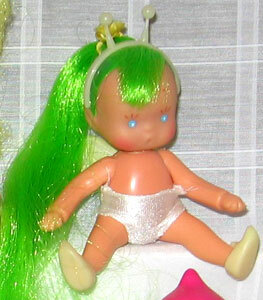 Unlike the original pixies, the long haired pixies glow-in-the-dark antenna were on removable head-bands, rather than part of their heads. 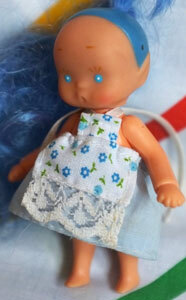 Their long hair was rooted only on the backs of their heads, with a little fringe held in place by their head-bands. 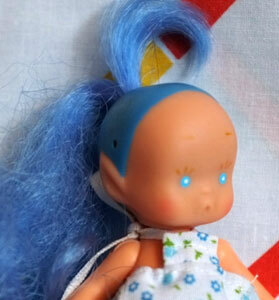 Under this they had the same coloured scalps as the original pixies. 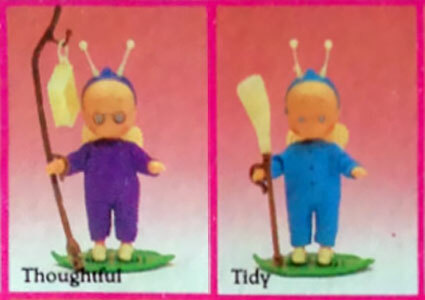 There were four special characters with accessories shown on the packaging backs. 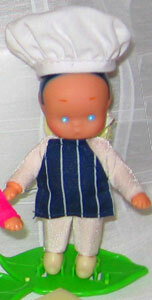 I've only found the Chef so far, but it may be safe to assume that all four we sold in shops, if only briefly.